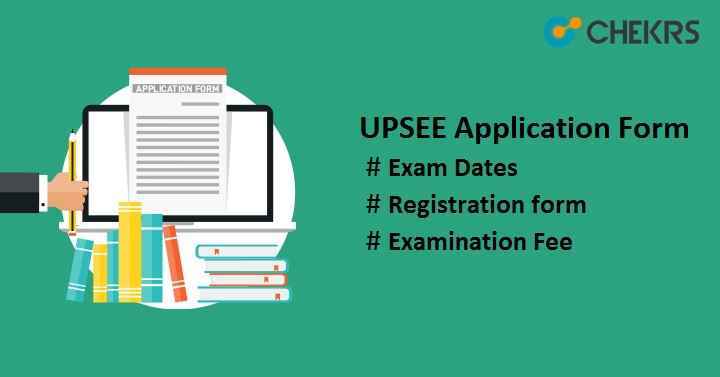 UPSEE 2019 Application Form: Dr. A.P.J. Abdul Kalam Technical University (AKTU), Uttar Pradesh will conduct UPSEE 2019 for admission to first Year of BTech/ BTech (Biotechnology)/ BTech (Agriculture Engg.) / BArch/ BDes. / BPharma/ BHMCT/ BFAD/ BFA/ MBA/ MBA (Integrated)/ MCA/ MCA (Integrated) and 2nd Year (Lateral Entry) of BTech/ BPharm/ MCA programmes. Other name of this exam is UPTU/ AKTU entrance exam. UPTU/ AKTU exam is held once in a year at state level. AKTU will commence the AKTU Application Form on the official website probably in the month of January. All interested candidates can apply online. Students are advised to read this article to know the complete information related to UPSEE 2019 exam dates, application form, application form procedure, examination fee etc. Candidates must have completed intermediate/ 10+2 or equivalent examination from U.P. Board or from any recognized Board / University without grace for admission to first year of B.Tech./ B.Pharm./ B.Des./ MCA (Integrated). For admission into the courses like BHMCT/BFAD/BFA/MBA (Integrated), applicants have to pass 10+2/ intermediate or equivalent examination form U.P. Board or any recognized board with minimum 45% aggregate without grace. For reserved category, 5% relaxation will be provided in marks. To get admission BArch programme, candidates must score 50% aggregate in marks in class 12th. Candidates should have domicile of UP state. Students having no domicile of UP state can also apply but they will have to apply for 15% seats. No age criteria will be there to be eligible for UPSEE. For Lateral entry in UG courses, candidates should have degree in BSc stream or diploma. Candidates who have scored at least 50% aggregate in graduation can apply for MBA/MCA. Note: Click Here, to know more about the UKSEE Admission Criteria. Click on the link given for application form as per your applied course. Candidate’s applying for UG courses must click on “UPSEE-2019 for UG” and for PG courses “UPSEE-2019 for PG”. Click on “Apply” present on the home page, read all the instructions carefully and then proceed for application form. Click on “Click here to proceed” link to move to the application form page. Fill all the details such as candidate’s name, father’s name, date of birth, academic percentage, qualification, address etc in capital letters and same as mentioned in 10th. Select the courses, exam center, set password & security question. Click on the button “Edit application” or “Submit” as per your requirement. If need any correction, candidates can click on the “Edit” button and can make changes. Otherwise, click on the “Final Submit” before final submission, click on the checkbox for declaration message. Note down the application number and then proceed to the next step. Login to the account with the generated application no & password. Upload the scanned images such as photograph & signature as per given specification in the above table. Click on “Save” button and proceed to pay the application fee. Click on the link “Proceed for Payment” and select the mode of payment credit card/ debit card/ net banking/ Wallets. Enter all the cards details and click on “Ok” button. After payment, transactions id will be generated, note down the transactions id for future use. After this, a link will be generated to download the application form. Click on that link, download it and take 2 copies of print-outs of “Confirmation Page”.